Class act. Can't wait for Nick to come back home to Baton Rogue. The next post by Larry will be about Simone Eli and her friends. Saban got out-coached in his latest outing. The early signing period does not allow recruits to see if a coaching staff is going to change and if that change is beneficial to them or not. If they choose a school where they are more likely to start and then a major player transfers from or to that school, that could change their decision for example. 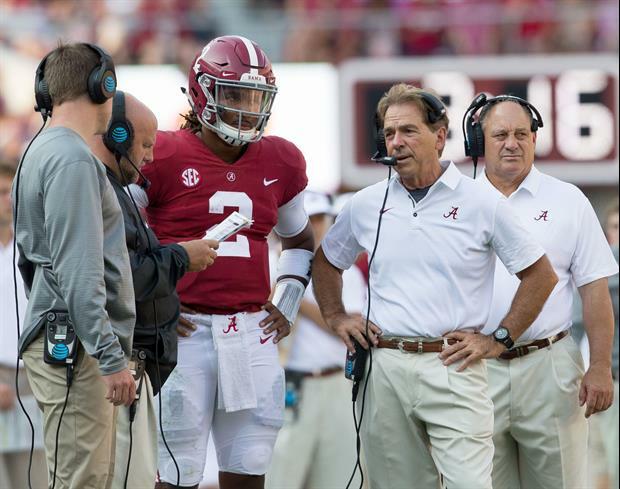 With coaching changes, transfers, bowl games having to choose early seems like a compromise to the recruits and a distraction from coaches and players focusing on games and championships. Big Bowl wins, who declares for the draft, all come after the Early Signing Period. frick Saban. He’s a tool. A lot of successful CEOs and coaches are tools. Doesn’t negate the fact that he’s one of the best of all time. A tool...lol, like a wrench size 44/16. Saban: "Well, carry me to the office on your way out, Jay." Short and sweet. Well, more short than sweet.